Hear the Junior Eurovision Song Contest on Fun Kids! Listen from 2:45pm on Sunday 25th November to hear it live from Belarus! You’ve probably heard of something called Eurovision – that’s a competition where loads of musicians come together and battle it out in a big singing contest! Well, there’s also Junior Eurovision! It’s basically like the big Eurovision contest – but all the acts have to be aged between 10 and 15 years old! Sixteen countries are taking part in the contest this year, including Ireland, Poland, and even Australia. 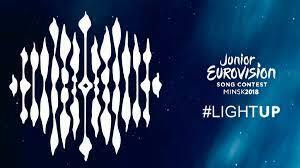 Listen to Fun Kids from 2:45pm on November 25th to hear the Junior Eurovision Song Contest, live from Belarus!